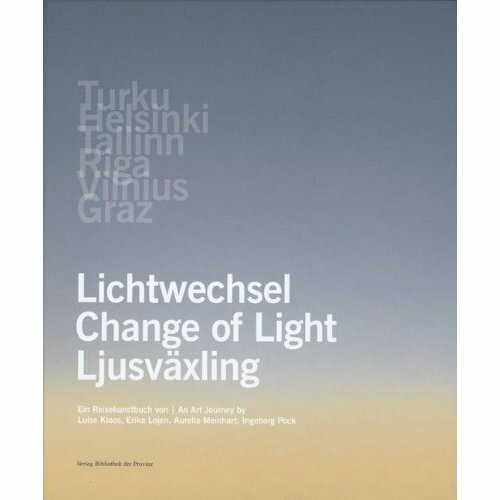 Recently the article Periods of Light, Periods of Darkness that I wrote last year and first posted on this blog was published as part of the Lichtwechsel (Change of Light) art project. As a result of an invitation for an exhibition in connection with the advent of Turku, Finland, becoming the cultural capital of Europe in 2011, an Austrian conglomeration of artists known as Gruppe 77 from Graz organized a traveling art project entitled “Lichtwechsel – footprints of European culture”. Gruppe 77 consists of accomplished Austrian artists including Luise Kloos, Erika Loje, Aurelia Meinhar, Ingeborg Pock, and Heribert Michl, the latter of whom accompanied the rest of the artists virtually from Graz during their 15 days of travel, documentation, project development and preparation for the exhibition in Turku. Along different stations upon the route the traveling artists met with local artists to engage in an intercultural dialog. The theme chosen as a thread for the project was darkness and light, the geographic position of Graz and Turku, and the mystical realms of the different cultures in literature, fine art and history. It was in this context that I was asked to write a piece about light and darkness to be published as part of the book about the travelling art project. As a starting point I took my own childhood and one of my journey’s to the arctic circle. While writing a flood of feelings and memories took hold of me, although, as it were I wrote the piece in the most light-filled and tropical location of Kerala, India. But possibly exactly because of this I felt even more poignantly about life in the near arctic regions. I am very happy and honored to have contributed in my small way towards the project. Please visit the Lichtwechsel and Gruppe 77 websites, and the site of Luise Kloos to know more about these versatile artists and the project. The project was covered by Austrian national TV channel ORF. 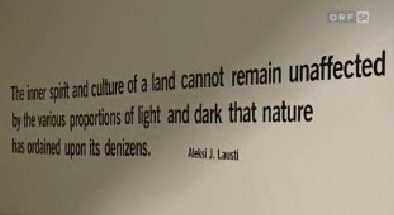 Excerpt from the article on the wall of the exhibition. The exhibition will be shown until 8th April 2011. The book can be purchased from Amazon by clicking here.